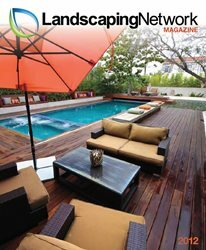 Landscaping Network magazine is a free publication for landscape professionals featuring over 80 pages of full color photos and information about landscape design for front yards, backyards, swimming pools and more. Here you will find a digital copy of the magazine that can be shared online. If you are a landscaping professional or student who would like to receive a copy of next year's magazine in the mail please email your information to khara@landscapingnetwork.com.